I first listened to it when you gave it away for free in daily installments. During my holiday I asked a friend to download the episodes for me, but sadly he missed a few, so now I’m getting the the whole thing for my upcoming holiday! It’s terrific! I first heard MOM in the late 70’s while working at North Country Public Radio - it was the joy of easch evening - and more so today! 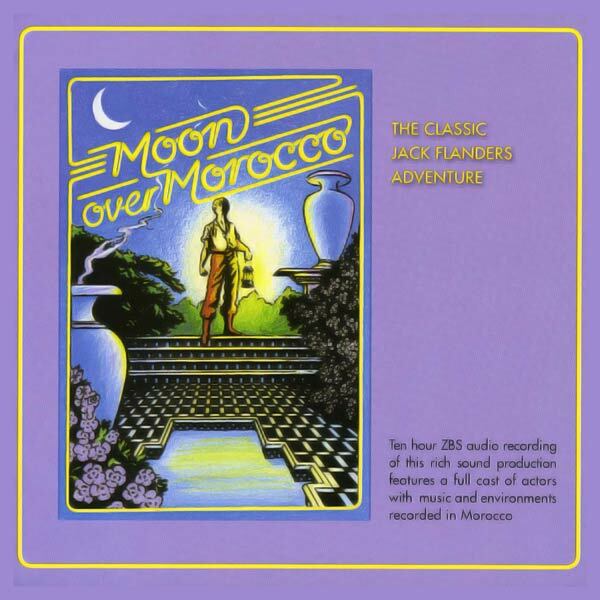 I first heard Moon over Morocco in the late 1970s over Pacifica Radio. Since then it has inspired me to learn what I could about the lesser-known cultures of the Near East and Middle East—the Copts, the Berber, the Assyrians… Even now, when I spend time reading about little Assyrian villages in the mountains above Mosul, I am reminded of the fabled Mazamoudah and the Berber villages of the Atlas. The story is intriguing, the atmosphere absolutely delightful, and the music is excellent. Moon Over Morocco, hadha Tayyib kethir. Shukran jazilan, ya Effendi. I have been listening to this story for over 20 years now and still find something new each time I hear it. Some of the music inspired me so much it changed my musical career. They have updated a few things from the original version but nothing to really complain about. Moon Over Morocco is a brilliant work of radio art with much to offer the mind, ears, heart and soul of the listener. Highly recommended! My favorite of all the longer Jack Flanders adventures - the smart ‘film noir’ feel and great performances make a wonderful combination. The soundscapes that were created for this adventure are the best of all the Jack Flanders adventures, bar none. Added to the score, this is audio drame at its best. I first listened to this on WGBH in Boston in the early ‘80s or so and never forgot it. It’s as good today as it was then. Well, I first listened to MoM in the early 1980s, and found it absolutely captivating. It was far ahead of its time in creating a gorgeous, subtle audio soundscape, and in mixing adventure, metaphysics, spirituality, humor, and beautiful music. It’s not lightweight, but the attention it requires is well worth it. It’s a real classic that ages well.